Is it me or are more and more international brands coming over to set up shop in our country? 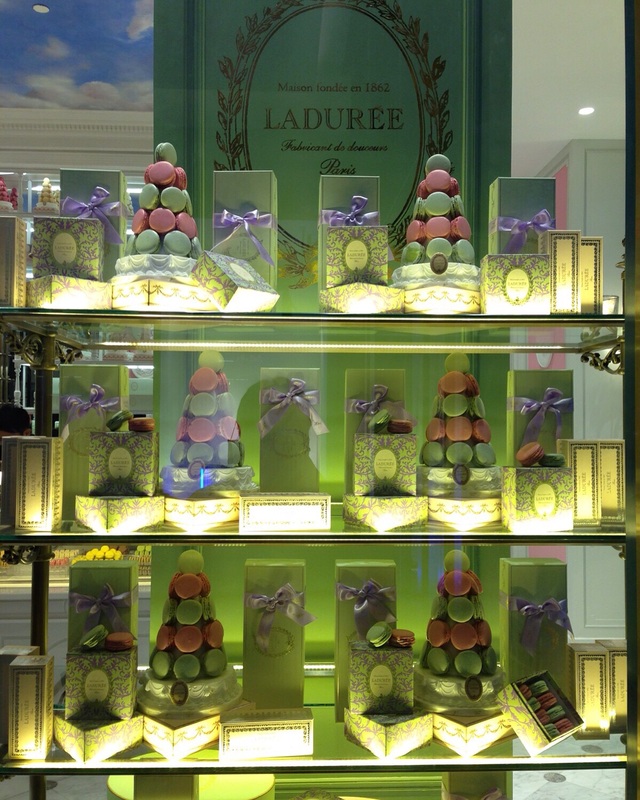 And I can’t be happier that Laduree has finally reached our shores! Not to be confused with our local macaroons (that crusty coconut-based local delicacy), macarons are meringue-based cookies of Italian origin. When Catherine di Medici married King Henry II of France, her chefs, and the recipe, travelled with her. In those days, macarons are single cookies, until the French thought of filling it up with ganache, jam or cream and topping it with a second cookie, giving us the melts-in-your mouth goodie that we know as the macaron. Well, I don’t really know who thought of doing that but Laduree probably makes the best macarons out there. 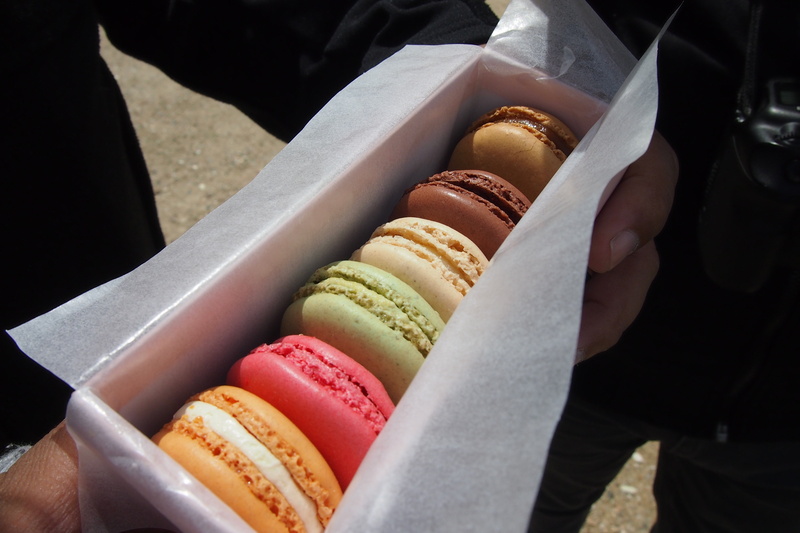 Their macarons are so perfectly made that they hold their shape and don’t crumble when you hold them, but they instantly melt once they touch your mouth. And the colors and flavors are just too pretty! It’s like travellihg back in time and experiencing the opulence of Marie Antoinette’s lifestyle. 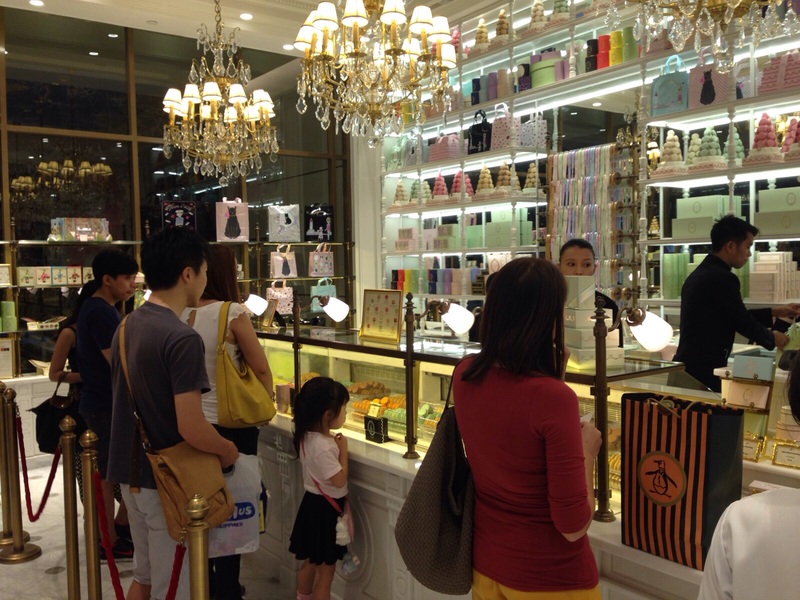 Anyway, the first ever branch of Laduree opened a few weeks ago at 8 Rockwell (right across Balenciaga). No, it’s not inside the Powerplant Mall, but you can get out of the exit near Zara and walk across the street to the next building. 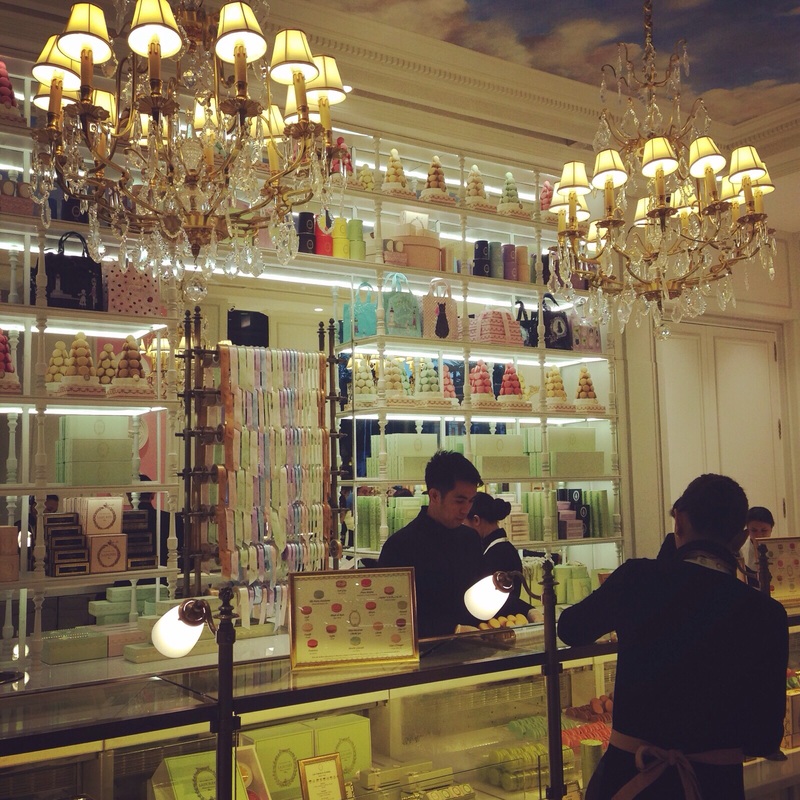 Inside, it’s just like all other Laduree stores – decked in French interiors. And prices, while definitely expensive, are just about the same as in Europe – a macaron costs Php 150 while the cute jewelry-box like containers with half a dozen macarons go for Php 1,200. Not bad, as I remember it costs around €2 in Paris (can’t remember how much it was in HK). All flavors I have tried are good but I am partial to the chocolate and rose-flavored ones. Locally, I have yet to find macarons that can give Laduree a run for their money; Chez Karine would have been my bet but they closed shop back in June (I almost cried when they did). And I am so glad I can give this as gifts now; macarons only last three days so I couldn’t get them for pasalubong when I travel (except HK). I can’t wait for their tearoom to open next year.